Care to be Different > Articles > Legal and Financial Matters > Mental Capacity Assessments – when should you have one? Many families find that decisions are made about vulnerable older relatives without a proper Mental Capacity Assessment being carried out. It seems there is also sometimes little consultation with the person in care or their representative. Many people are confused about what a Mental Capacity Assessment (MCA) actually is – and when it should be used. This article aims to make that clearer. We’ve also included links to some news articles and case studies to show how Mental Capacity Assessments should work, and how they relate to Best Interests meetings and Deprivation of Liberty Safeguards (DoLS). When a person has ‘capacity’, they have the ability to make a specific decision for themselves – at the time the decision needs to be made. A person who lacks mental capacity does not have this ability. The Mental Capacity Act (2005) is the legislation that governs this. Essentially, it’s about protecting a person’s right to decide what happens to them, and this is particularly pertinent to a care situation, of course. If a person can’t make a specific decision or give consent to something, the legislation is supposed to ensure any actions subsequently taken by other people are in the person’s best interests. However, reports from many quarters including the Care Quality Commission, indicate that many people working in health and social care often lack vital knowledge and training about this, and this can lead to decisions being made about a person without the proper process being followed, without the proper safeguards being adhered to – and without it all being properly documented. If a person’s ability to make a decision about something and/or give consent to something is in doubt, a Mental Capacity Assessment should be undertaken. A Mental Capacity Assessment is not about a person’s general cognitive ability or the extent of a person’s memory. Instead, broadly speaking, it looks at whether that person can make a specific decision about a specific thing at a specific time. A Mental Capacity Assessment is NOT the same as a memory test or cognitive test (sometimes referred to as an MMSE or an ACE-R test). 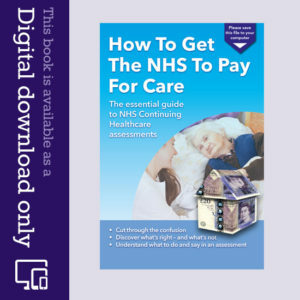 A Mental Capacity Assessment is not used for scoring the care needs in the Cognition domain in an NHS Continuing Healthcare funding assessment. A Mental Capacity Assessment is not a statement of a person’s ability to make decisions in the future. It’s about a decision that needs to be made now. Capacity can also fluctuate; for example, a person’s ability to make a decision about something now may not be the same in a few weeks’ time. This two-page leaflet from Woodfines Solicitors summarises the key questions a person should be asked in a Mental Capacity Assessment. In what context is a Mental Capacity Assessment used? Stowe Family Law: The Ombudsman’s declaration that capacity assessments need to be formally recorded/documented. Also remember that, in all this, if you’re acting on behalf of a relative a power of attorney is vital. Read more about powers of attorney. The system is really crazy. It seems that staff aren’t being trained properly in the Acts implementation and hospital policies do not always reflect the Act fully. We are in a different, but similarly difficult situation. Mum is 89, has COPD, a lung tumour, dementia and previous mental health problems. She was admitted to the same ward for the fifth time, this time by her GP with acute confusion. The ward were trying to push her home within 3 or 4 days. Discharge was planned for the next day. When she had not arrived home and we had not received any call from Torbay hospital we called the ward who said she had decided to stay in for physiotherapy. I didn’t understand so queried this and then the doctor told us that she had asked them to only talk to them about her care. They had assessed her as having “capacity”. (Junior doctors who’d only met mum two days prior). Now the hospital don’t ring us about anything, moved her ward without telling us and tell us she is alleging all sorts of things. When I visited her last she said that she asks everyday when she can go home. It is all very surreal and upsetting and mum has not got much time left. It seems that this Act is being misused. Seeking any advice please re my FIL who was in hospital for 6 months last year (81 years, chronic ill health conditions and 4 failed home discharges) when we were told that he was becoming abusive and that other abusive patients had been escorted off the ward in handcuffs by police and could we find him a care home asap. What they failed to tell us was that a member of the nursing staff had reported him to the police for a hate crime and that the hospital had issued him a ‘yellow card’ threatening him with criminal or civil prosecution and exclusion from the premises etc They made him sign a document (he signed the year as ’80’ not 18) which we found by his bed. Just 2 weeks before, their CHC checklist recorded ‘ shows disorientation of time and place’ and ‘ shows anxiety but calms himself down when reoriented and being attended to’. It said he did not have a diagnosis of dementia – he had not been asssessed, that’s why – but referrred to ‘his bad mood’. Social Services then tried to move him off the ward into a care home without telling us which we found out only by chance and stopped. Our choice of home declined to take him because he was too confused – he said he had been out dancing – and despite us asking another home to assess him (they turned him down too) the hospital then emailed a letter to us saying we had 7 days to remove him. After contacting his local MP, the hospital finally agreed to assess him for dementia which they begrudgingly admitted he had. They had previously told us that assessments are only carried out in the community and not in hospital. After six months spent in hospital care my FIL no longer had a ‘familiar setting’; he did not know where he lived. He also thought he had been out on day trips and that his drink was being poisoned. The hospital insist however that he had capacity and say therefore that there was no need to inform us what they had done (my husband has health POA). They refute any duty to assess him for impairment before issuing the yellow card. They have never addressed their failure to send us his care and support plan which we believe did not address his needs as they had not yet been fully assessed and may well have been prejudicial to him in our search for a home. He is now in a nursing home not the residential care setting they recommended. I would really appreciate any feedback concerning the lawfulness of their actions. We are still awaiting a reply from Social Services to our complaint but fully expect that any wrongdoing will be denied by them too. My husband has had a breakdown and has been off work for several weeks. He has seen OH who have advised limited contact from his work until he is well, but they say that he must attend regular meetings as part of their sickness policy. I can attend but only as a silent witness.He is not able to make decisions at the moment, even what he wears or whether to wash. Would a mental capacity assessment help? Probably not as only about ability to make a specific decision at a specific time. But with Occupational Health and GP backing arguably forcing him to meet when medical advice is not to do so at present is capable of being disability discrimination. My mum is in an assessment unit for mobility. Now they say she has lost capacity. I’m not surprised being stuck in there with nothing to do all day! The other patients aren’t exactly talkative. Anyway am i allowed to take her to her home and get carers in? My son is 18months now. When can I expect a Mental Capacity Assessment to be done? Hopefully I’ll be able to update you on what happens during the assessment. What sort of questions should I expect? Where will the evaluation be done? My son has physical impairments. How long does it take to do? Will I be asked to fill out a form prior to the assessment/ When they do the assessment what sort of things are they assessing my child for? My mother is in a care home following a stroke. She is very frail and her memory is extremely poor. In January 2013 my mother and father registered LPA jointly and severally with myself and my sister. Since January 2013 our father has passed away and mums health has deteriorated tremendously and it has been deemed by social services etc that she is incapable of her own care which is why she is in a home. In the POA there is a clause relating to financial capacity and that this should be assessed before POA can be activated. My sister controls our mother’s finances and treats me as persona non grata! There have been changes made to our mother’s contact details at the care home and incidents have occurred in which I have not been notified of, ie falls, ill health. 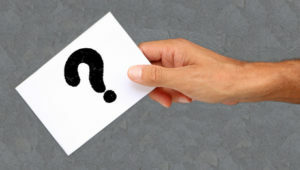 Should the care home respect the registration of the LPA and to get our mum assessed (which my sister very strongly objects too as it means I will then have access to mum’s financial records and an input into how her finances are managed) what type of communication changes do I need to be aware of in order to effect the next stage? (Hope this makes sense). Is it true that the assessment carried out for mental capacity for LPA purposes is of a different type to that carried out by professionals to ascertain capacity? My partner has Alzheimers. She is 68. She has no ability to communicate as she cannot speak anymore and cannot write down what her problem is or answer any questions. She is doubly incontinent. She certainly cannot make a specific decision about a thing right at that moment or for the future. All communication has ceased. She has no ability to take medicine responsibly or tell anyone if she is hurting, unwell, or needs something, including choice of food items, or that she would like to go to bed. She has to be continually assessed. Remember that capacity must relate to a specific decision that needs to be made at a specific point in time by the person being assessed – it’s not a general view of a person’s cognitive ability. Also, there should be the paperwork to match. My understanding is that informed consent is required for capacity assessment. Hosp now propose two more MCA tests surely this is just harassment to gain control over her decision making; In the last year 2 social workers, independent mental health, advocate solicitor, chc nurse assessor independent solicitor ,registered mental nurse all say she has capacity. How many bites of the cherry do they want !! My uncle is very ill. He lives in a house. An assesment was done at the house with him and he was very unsafe on the stairs. It took two people to support him on the stairs and even with this support he and his carers are at risk of falling off the stairs. Should he have a mental health capacity to discuss his understanding of the situation? Atland – A Mental Capacity Assessment is not about a person’s general ability or general understanding, but instead it’s about a person’s capacity to make a specific decision and a specific time about a specific thing. 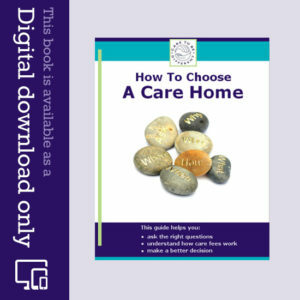 For example, if your uncle needs to make a decision about whether he remains at home, and if there is doubt about his mental capacity to make that decision, then a Mental Capacity Assessment should be carried out – for that specific decision. I am struggling with a question – if someone could help it will be really appreciated. It’s about Mental Capacity ACT 2005. The question is The Mental Capacity Act 2005 does not contain sufficient safeguards to protect the incapable patient? Can you explain a bit more about what you mean, Omar? Yes, a patient can be deemed capable of creating a Lasting Power of Attorney whilst detained and under s17 home leave of the Mental Health Act 1983. It depends on whether they have capacity at the time to create the power and in accordance with the requirements of the Mental Capacity Act. The Mental Capacity Act has five clear priniciples and works on the assumption that, where possible, people should be enabled to make their own decisions unless they clearly lack the capacity to do so. Any decision must be made in the ‘best interest’ of the person on whose behalf the decision is made. Thanks very much, Isobel – appreciated. Can a Section 3 mental health patient on Section 17 leave still have capacity to sign a Lasting Power of Attorney (LPA)? A patient can still create a Lasting Power of Attorney whilst being detained under s3 of the Mental Health Act and whilst on s17 leave provided they have the ability to understand the implications of the power they are giving. Being detained or treated under the Mental Health Act is not necessarily a barrier to making a Lasting Power of Attorney but it is important that there is a full and proper assessment of the capacity and understanding of the person wanting to make the power. Thanks very much for your comment, Nadiya. We have just had the MDT DST meeting for the NHS CHC funding for my Dad and have to wait for further assessments to be carried out such as a mental health one before the DST is submitted, then I read these posts! Oh how awful for people to be going though sometimes years of fighting for their rights….!! !I had NO IDEA it could be as bad as this, I will be looking in regularly on this site for advice as we wade though the process on what seems like an unfair and cruel fight! I am NOT looking forward to it. Keep going, Karen, and let’s hope you don’t face too many hurdles along the way. My wife, diagnosed with Alzheimers in October 2007, NHS sent her to Care Home in Bedfordshire November 2008, after deterioration by wife and in level of care, I moved her with agreement from Bedfordshire to Care Home in MK September 2010, not accepted for CHC January 2011. CHC awarded following further assessment February 2012, mental powers almost nil and no communication possible, then in re-assessment September 2103 CHC withdrawn but I appealed because Nat Framework for NHS CHC not adhered to and CHC reinstated. December 2014 Re-assessment assessor admitted my Wife has no cognitive ability and is able to see only light and dark, and advised she should not have CHC. At end of January 2015, the CHC Panel decided my wife has still Primary Health Need and reinstated Fully Funded CHC for a further THREE MONTHS before another assessment. The CSU Retrospective Review Unit said in August 2014 that I might expect the result of my claim [made in mid 2012] for 2011-2012 might be decided in the next 12 months. Colin – you mentioned: “I anticipate that no cognition, communication, nil mental capacity, but strong physical ability to hurt/harm self or carer……” Keep in mind that mental capacity refers to your wife’s ability (or lack of) to make a specific decision that needs to be made now – rather than it being a measure of her general mental/cognitive state. Hi all, Just to twist this a bit….. My mum has no cognition. No Communication…. She has a disease that affects her and has made her mentally ill in the most serious way possible. Bearing that in mind….. With the report in the times today about the teens and children with their mental illnesses and that the Times considers it to be the role of the NHS to meet the cost. Why the hell is my mum expected to pay for her treatment? After all. An out patients appointment with consultant: GP to prescribe: Nurse to visit if required: Any other care is surely the same as my mum requires and is expected to pay for. I would assume that many weeks of morphine at maximum dose along with pain; a cornucopia of other drugs such as gabapentin, along with a UTI and MRSA and Gangrene because of a failed correction to a failed 2 year old leg amputation and brain injury acquired dementia might have been the main reason for My FiL refusing post operative meds and “dying” twice as the result. Then soon afterwards refusing treatment having been admitted with several inches of his thigh bone protruding from the failed surgical wound. But then again who am I to question the doctor (regarding the Mental Capacity Act) that allowed my FiL to refuse important post operative meds and how dare I (later on) question the doctor that considered him mentally capable of making decisions to refuse life saving treatment and send him home until his mind was clear enough to make the decision to be treated? I know that on both occasions a Mini Memory (Alzheimers test), was done. That test has nothing to do with assessing someone according to the Mental Capacity Act. The 2005 MCA was not used to assess his needs. One doctor even told me that they knew nothing about it because they had only been qualified as a surgeon for few weeks. (Only 9 years since the act became law). (No exaggeration no fib! ).